The journey toward self-discovery has been a winding, often bumpy road, for Millard and his bandmates. The result is a powerful collection of songs that in some places rocks harder than MercyMe ever has during their dozen years together. "We just wanted to make the album we love and it definitely came across a little more rocking than any other music we've ever done," says Millard, adding enthusiastically, "We love it. We really focused on up tempo songs. It's definitely way more energetic than anything we've ever done before. I don't think we are trying to reinvent the wheel, it's just trying to put a little more edge into what we are creating." Along the way, it yielded some incredible music, including the poignant anthem "I Can Only Imagine." 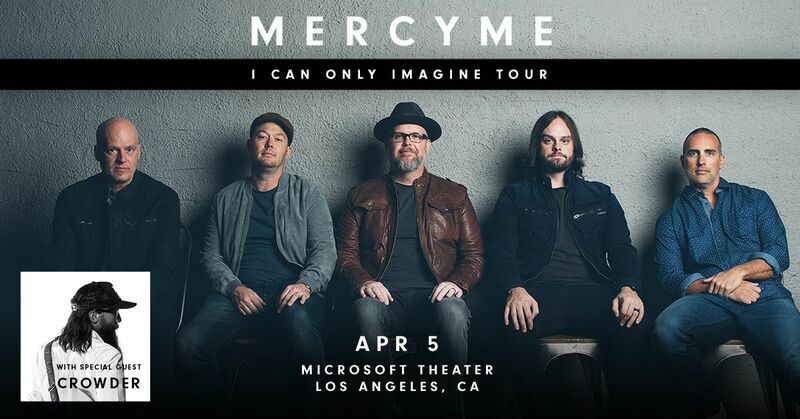 The song transcended musical barriers to become a multi-format smash, pushing sales of MercyMe's INO debut, "Almost There," beyond double platinum and earning them numerous accolades, including the Gospel Music Association's Song of the Year. The band has appeared on The Tonight Show with Jay Leno and Fox &amp; Friends, applauded in Billboard, Entertainment Weekly, USA Today, The New York Times and other prime media outlets, as well as touring extensively and launching a successful organization to aid young people entering the mission field called The Go Foundation.